The Cyclops is a bipedal machine with a reinforced cockpit as its “head.” The two three-fingered hands are surprisingly dexterous, and the suit is strong enough to lift heavy cargo pallets and maneuver crippled armored vehicles. Its large feet help mitigate the suit’s ground pressure, but the Cyclops is a surprisingly lightweight design considering its size - a testament to the advanced structural materials developed by Algolis engineers and scientists. The Cyclops’ operator sits in a control web within the torso, encased in a smaller active-impedance haptic interface exoskeleton that drives the larger vehicle’s movements. In effect, the suit mimes the actions of the operator and provides force feedback to make “driving” the Cyclops feel more natural and an extension of the user’s body. The standard Cyclops does not have any built-in armaments - though skilled operators can perform surprising feats of dexterity and use the suit’s arms as devastating close-combat weapons. 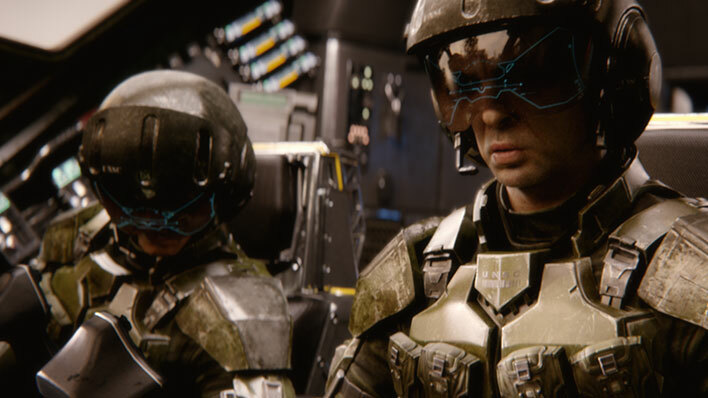 The basic Cyclops is effectively a strength-enhancing suit for its human operator, but its ease of use and load carrying capacity made it useful in a number of different fields. Mark III [A]: Initial prototype using neural interface controls. 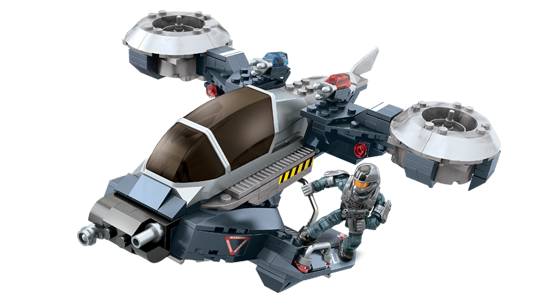 The sealed canopy used an armored carapace visually similar to that utilized in the later MJOLNIR EVA variants. Mark III [B]: Unarmed production version. Mark III [B-II]: Unofficial nomenclature for [B] exoskeletons which features redesigned feet and a more robust, sealed cockpit. Many also use alternate power-packs that replace the expensive fusion generator with hydrogen-burning turbines or high-density power cells. Mark III [B1]: Upgraded [B] models produced by Hannibal Weapon Systems with composite armor plating and hardpoints for weapon installation. These refits proved popular with paramilitary security forces in many Earth cities. 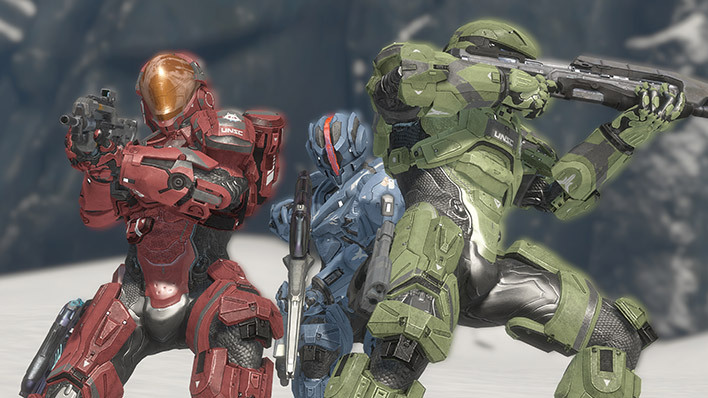 Mark III [M1]: Armed variant produced by Lethbridge Industrial currently undergoing field trials with the UNSC Army. 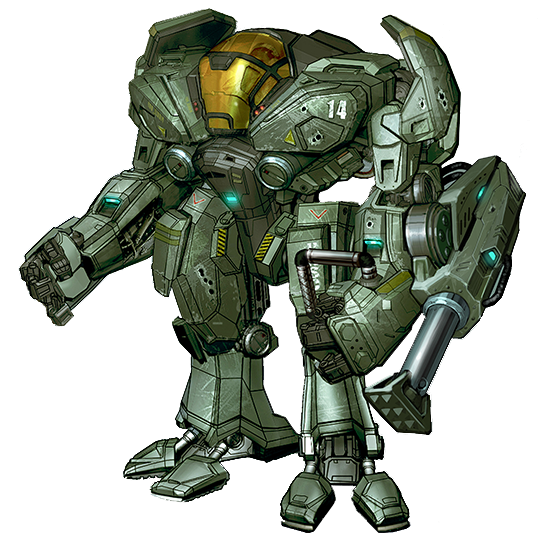 These units are multi-purpose assault platforms with shoulder heavy weapon hardpoints and Titanium-A plating. 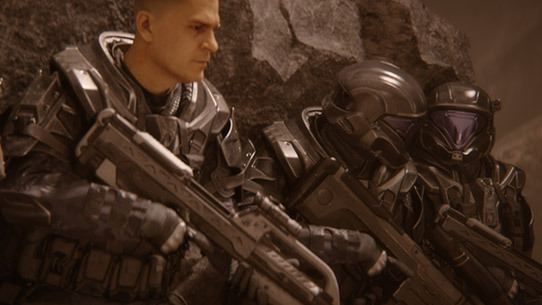 Peacekeeper: Popular with police SWAT teams in Earth’s megacities, these Mark III [A1] units are usually equipped with a large riot shield and a low-pressure autocannon that can fire a variety of riot-control munitions. Most were destroyed after being pressed into active combat duty. Protector: Deployed in high-threat civil rescue missions, Protector units (usually older B-II units) are used by firefighters and medical response teams for deployment in situations where larger vehicles cannot fit, and unprotected workers would risk death. A typical configuration mounts a large tank of fire-retardant foam and a high-pressure projector, and a high-torque gripping arm for ripping apart mangled vehicles to get at trapped occupants or breaking the reinforced walls seen in many arcologies. Breaker: These Cyclops frames mount specialized tools for shipbreaking and construction, which may include high-power plasma-cutters, hydraulic rams, or assorted cutting blades. 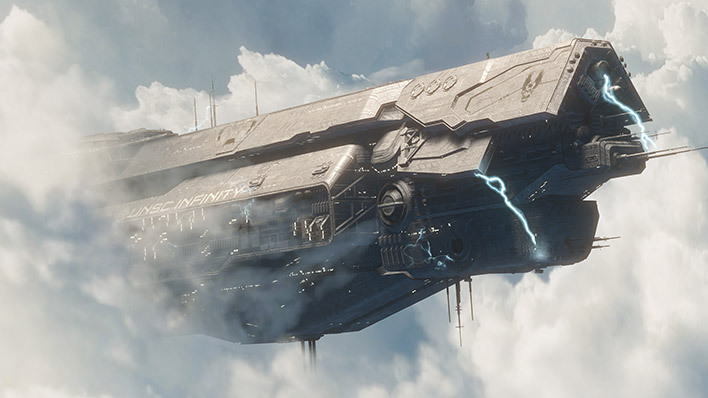 Wreckers employed by the UNSC and contractors are vacuum sealed and kept busy slicing up shattered ship hulks and stations that remain in orbit around Earth or excavating half-melted buildings on the vitrified surfaces of former colonies. Hazops: Cyclops with biolab-grade environmental sealing and a heavy flamethrower are sometimes assigned as support vehicles to Spartan assessment and containment teams at Forerunner sites which may house Flood samples. Unfortunately, it is often necessary to destroy these suits at the end of successful containment missions, as properly cleaning every nook and crevice for traces of Flood spores is prohibitively challenging. A worst-case scenario - so far explored only in simulations - is one in which the operator is infected by the Flood and FSC-based biomass further augments the existing exoskeleton armature. 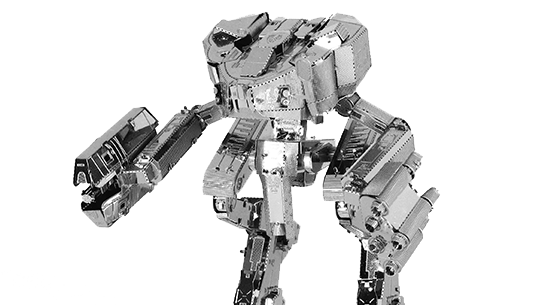 Build your own UNSC Mantis with this 3D metal model kit brought to you by Metal Earth.